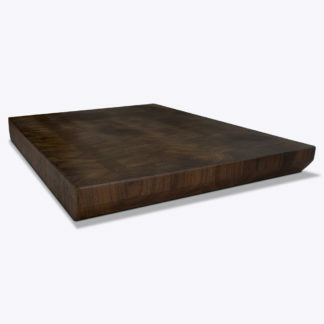 A Beautiful handcrafted end Grain Cutting Board is made from select end grain wood, Hard Maple and Walnut. 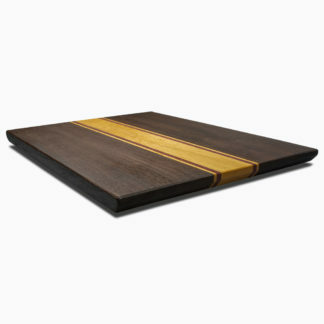 This handcrafted Hard Maple and Walnut End Grain Cutting Board is made from select end grain wood, Hard Maple and Walnut. 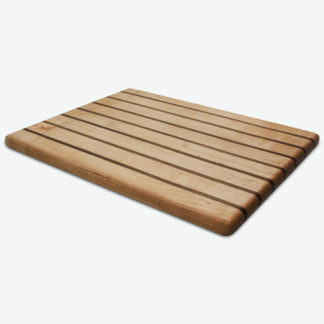 This cutting board has rubber non-slip feet and can be used on only one side. End grain cutting boards are not only beautiful, they are often the best surface for cutting on because they tend to dull knives much slower than other surfaces. The fibers in the wood allow the knife to pass through much more gently and helps maintain the edge much longer. By combining different colors and wood structures, each board has a unique and unrepeatable pattern. 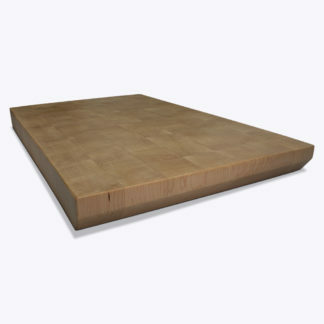 An end grain cutting board from Quality Cutting Board Company will look great on your counter top.